With access to big wilderness terrain and a drier snowpack, the range is a draw for backcountry skiers from around the Northwest. WALLOWA MOUNTAINS, Ore. — It was the first day of the ski trip we’d been planning since August, and it was raining. Well, sprinkling, to be on the optimistic side. 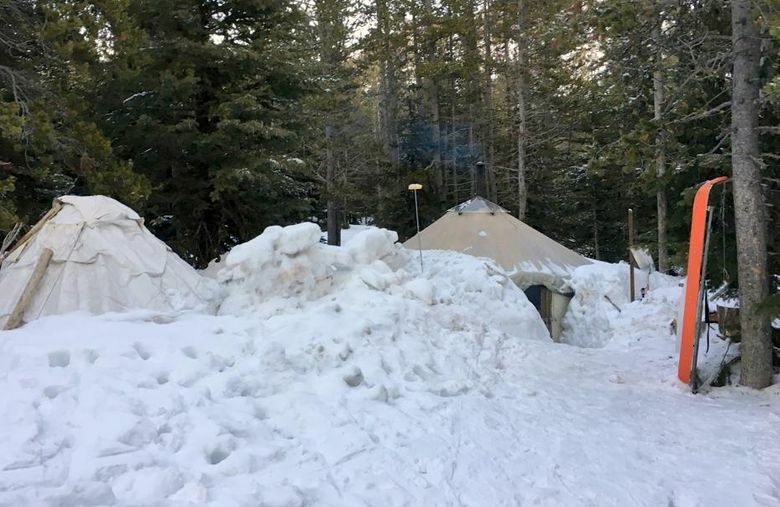 We were prepared for the worst, having studied a forecast that seemed to worsen by the hour leading up to our four-day backcountry yurt trip in the Wallowas last March. Half of our 12-person group had bailed, deciding to try their luck again next year. The remaining six of us were committed: We were going to have fun, come rain or pow, sleet or sun. Wallowa Alpine Huts offers catered trips (with a cook/custodian), as well as DIY options, at four different areas in Oregon’s Wallowa Mountains. The yurts are outfitted with woodstoves, propane cooking stoves, cots and sleeping bags. Porter service is available. 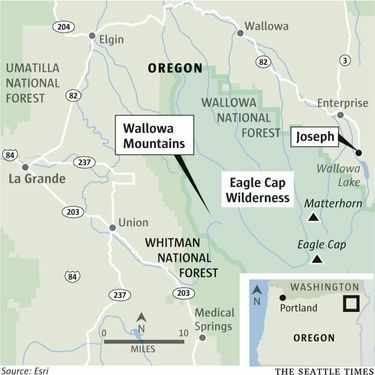 For more information or to make a reservation, see wallowahuts.com or text 541-398-1980. 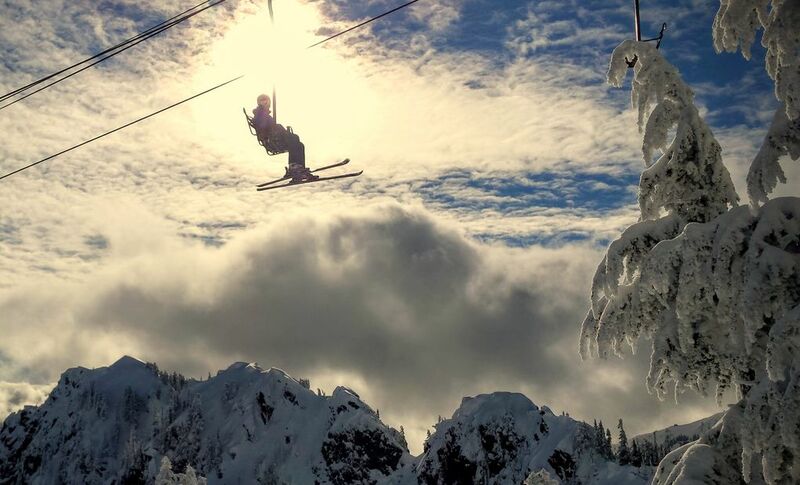 The weather is always a gamble when it comes to long-planned ski trips. With backcountry outings, the margin for error is even slimmer. Rain and ice can become significant hazards without a groomer to smooth out the bumps. The added factor of avalanche danger means that even too much snow — typically not a problem at a resort — could limit your terrain options to the point that skiing almost becomes pointless. That uncertainty is part of the reason why my husband and I chose Wallowa Alpine Huts (wallowahuts.com) for our first yurt trip. 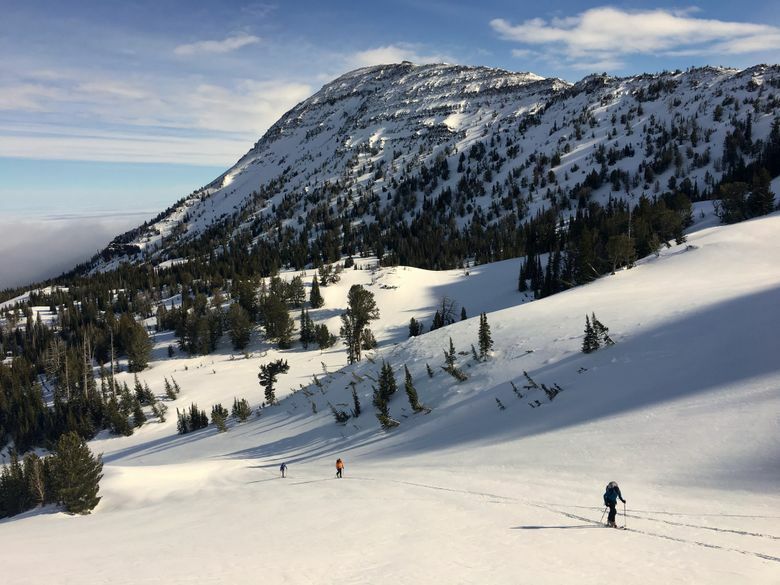 Unlike many of the hut systems in British Columbia or the American Rockies, an adventure in the Wallowas won’t blow your entire ski-season budget. The four-day/three-night option that our group went with cost a mere $250 per person. So, even if we got in little to no skiing, we’d still get to relax in a backcountry yurt with our friends for around $85 a night. That’s not to say the Wallowas don’t have big terrain to explore. The range is tiny, by the standards of the Cascades, but it packs a punch: jagged granite peaks rising up above 9,000 feet, and — thanks to its inland location — a snowpack that is typically drier and lighter than what we see in the Cascades. But, even with some of the odds stacked in our favor, it seemed we’d drawn Mother Nature’s shortest straw. It’s a long drive from Seattle to where our adventure would begin: Joseph, Oregon, population 1,089. After nearly seven hours on the road, we grabbed a few hours of sleep before a planned early-morning rendezvous at the local diner. Our reservation at McCully Basin included a half-day with someone to lead us into the base camp and point out surrounding terrain. Our tour guide that Thursday was Connelly Brown, the owner and self-described “Yurtmeister” at Wallowa Alpine Huts. We piled in the back of Brown’s pickup for a ride partway up the Forest Service road. When the snow got too deep, Brown switched to a snowmobile and we strapped on skis so he could tow us the remaining few miles to a summer trailhead. From there, we had four miles of easy skinning before us (for those unaware, skins are grippy strips of fabric that backcountry skiers attach to their skis for uphill travel). Somewhere along the way, we broke out above the soupy clouds, with the weather transitioning to full-on sunshine by the time we reached the yurts. As we shed layers of Gore-Tex, our pessimism shifted to cautious optimism — maybe we’d get some skiing in after all. After going over the logistics of the yurts — where to get water, where to keep our food, and how to operate the stove — we put our skis back on and followed Brown up into the basin. Located in the Eagle Cap Wilderness — Oregon’s largest wilderness area, at around 360,000 acres — the McCully Basin huts sit on the edge of a massive, remote chunk of alpine terrain. The contrast between here and a day at Crystal or Baker was stark. We saw a few ski tracks from the party that left the yurts before us, but otherwise the snow was untouched in almost every direction. That wild, unregulated feel is much of what makes hut trips appealing, but it is also cause for extra caution. Risk is always a factor in backcountry skiing, and things have gone wrong before in the Wallowas. 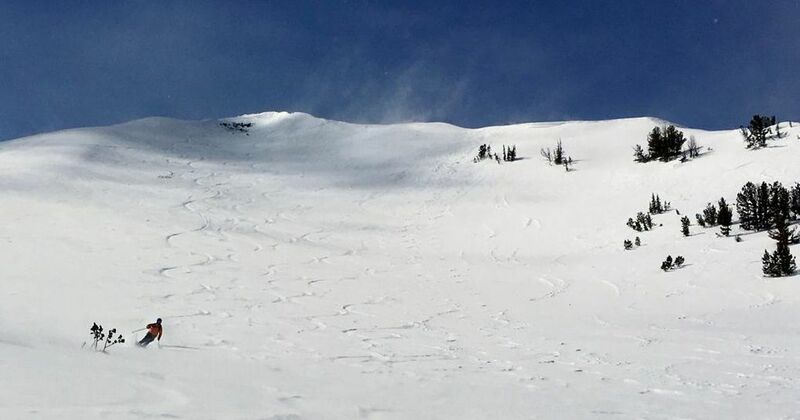 In 2014, two men died when an avalanche struck a group on a guided Wallowa Alpine Hut trip in another part of the range. All in our group had formal avalanche training, and recent storms meant we would be sticking with lower-angled slopes. We were relieved when Brown pointed out several mellow runs from which we could choose. A few minutes later, Brown was off. “Gotta go pick up the kids from school!” he said before skiing away. The six of us didn’t see another person until we departed the yurts three days later. We took it easy that afternoon, taking laps on a gladed run just beyond the yurts. The next day, with promising weather and snow conditions, we skinned to the top of a small mountain called Hidden Peak, where we could see deep into the range. Along the way, we dug a couple of pits to observe the layers of snow and ensure their stability. Afterward, we enjoyed a long ski down into the basin and then headed for a feature called The Diamond, a rocky mound with a handful of runs of varying steepness. Thanks to sunny weather and a bit of wind transport, the snow was softer than expected and we made our turns with ease. It wasn’t deep powder, but it wasn’t a chunky, wet mess, either. With each lap, we yelped our glee: The Wallowas had delivered after all. The rain came, eventually. Day three was a constant downpour. 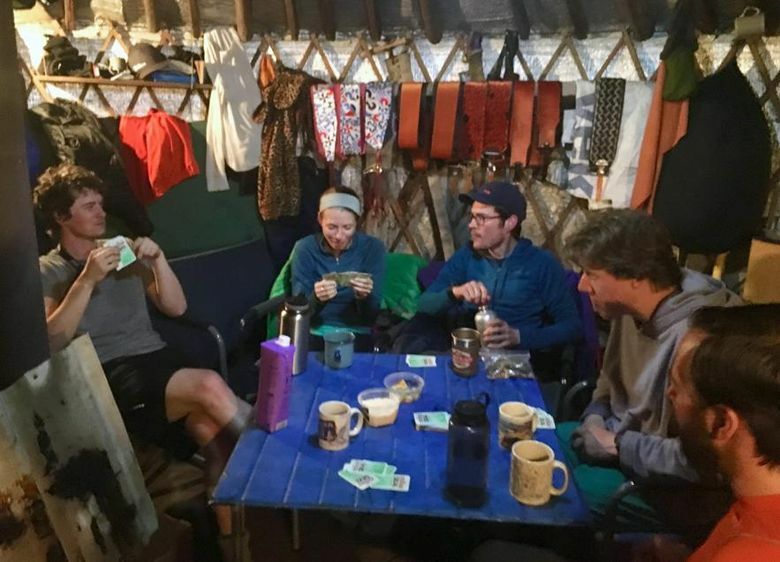 We spent all of it inside the yurts, reading, playing cards, drinking beer and staying warm by the stove. The next day was time to leave, but first we returned to The Diamond for a few morning laps. Despite almost an entire day of rain, the snow remained skiable. That afternoon, we returned to Joseph and toasted our salvaged trip over microbrews and cheeseburgers at Terminal Gravity Brewing. We knew we’d only scratched the surface of what the Wallowas have to offer for backcountry skiing, but we also knew we’d be back.